Comment: This is just a wall around the backyard measuring 6â high and approximately 220â in length. Comment: I want to lay flagstone pavers (over grass) in the backyard. Comment: During a traffic accident, the brick corner wall was greatly damaged and attached chain link fence was destroyed. I am looking for quotes for repair and replacement of the masonry and fence. Comment: Small project. Need a small section of existing brick extended f9â from current location and dirt fillet added. Will need additional small scalloped bricks. FBN Real Estate Consulting, Inc.
Sacramento Brick & Stone Masonry Contractors are rated 4.82 out of 5 based on 118 reviews of 11 pros. 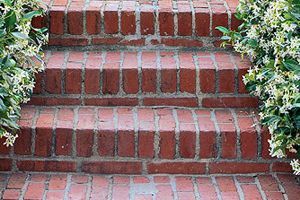 Not Looking for Brick & Stone Contractors in Sacramento, CA?